Since many years I am busy with questions related to health and healthy food. As often I started with my own infirmities. Still employed as school teacher the daily stress with the children of others and 4 of my own, lead to health problems and in consequence to a premature retirement from the school service. Still relativy young I didn´t want to accept my fate, but tried - just like Münchhausen - to pull myself out of the swamps by my hair. The retirement followed years of learning about health, first at Dr. Max Otto Bruker, an authority in natural food in Germany. There I passed the examination as a health consultand. As a side line I gave courses on behalf of the "Federal Central for educational work on health" about the subject "To lose weight - but with common sense". Based on the knowledge about natural nutrition and experiences gained with participants of the courses, my book "Alternatives Abnehmen - aber mit Vernunft", which means " An alternative way of lose weight - but with common sense", was published in 1989 in own edition. The book is out of print. In cooperation with the participants of the course I soon noticed, that the natural food, especially full grain food does not help all people and not in all cases. That made me separate from Dr. Bruker´s theories and I found e new priority: the intensive study of the acid/basic balance. In consequence the next publication was produced in my own edition: " Modifiziertes Heilfasten" what means: "A modified fasten". I defined myself this kind of partial abstinence: a nutrition where vegetables and fruits are allowed to eat, but where all other food which has acidity forming effect in the metabolism has to be left out. I remember very well that I showed this publication to Dr. Lützner, a very famous specialist for fasten in Germany, at a meeting of doctors spezialized in abstinence. He crossed over the word "Heilfasten" in the title: I must not call my method as "Heilfasten" when people can eat! 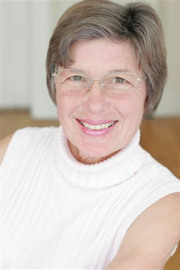 The encounter with Dr. Renate Collier deepened my study about infirmities and causes by acidity and their cure. Renate Collier had been a F.X.Mayer-doctor. I met her on the occasion of a meeting in 1991 about the "Balance of Acid and Basic" which was initiated by the Independent Health Councellors (UGB) in Gießen. In the years 1991 - 1993 I acquired from Mrs. Collier the knowledge about acidosis therapy. In order to be qualified to apply this therapy I passed the examination as non-medical, alternative practitioner. In cooperation with many course-participants in different education I was able to verify the rightness of the acidosis therapy and the basic nutrition. 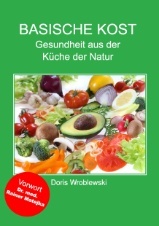 That encouraged me to publish my next book "Gesundheit aus der Küche der Natur - Basische Kost" (Health out of Nature kichen - Basic nutrition") In the theoretic part of the book makes you understand better the acid/basic importance in our organism, enlightens about possible deseases in consequenquence off acidity, foodstuff with excess of acid ot bases and gives recommendations and tips with relations to change the nutrition. The large part with recipes helps in reorientation to a basic nutrition and in this consequence to a healthy life in harmony and balance. This book was published in 2003/2007 in Germany ISBN 978-3-00-021389-2. 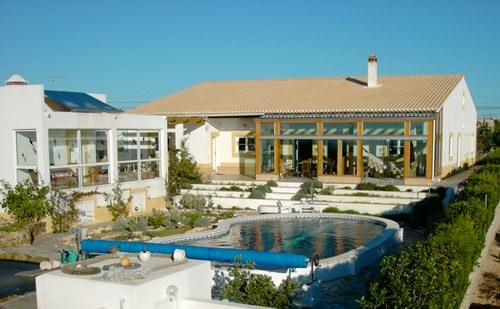 For some time now I mainly live in Portugal/Algarve in a healthy clark-house with salt water swimming pool. I still want to realize my dream of a health center (for which I still need the investors!) to be built here in this lovely part of the country where sunshine, air and ocean have healing effect.